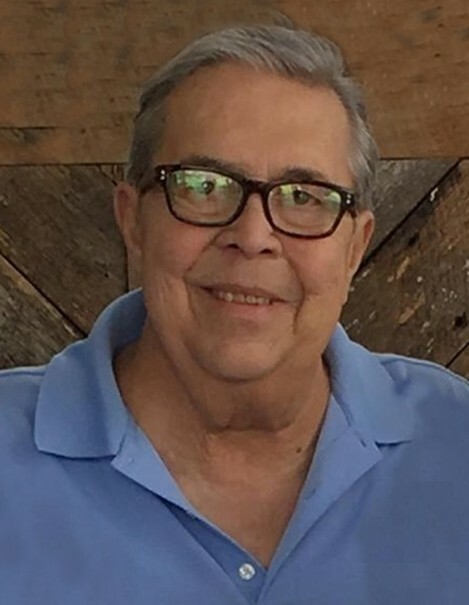 Eric W. Leonhardt, 75, of Jerseyville, died at 3:25 p.m., Friday, March 29, 2019 at Barnes-Jewish Hospital in St. Louis, Missouri. He was born in Saint Louis, Missouri on April 6, 1943, one of two sons born to German immigrants, Henry George and Christiana (Bucherl) Leonhardt. Eric grew up in St. Louis, and graduated in 1961 from Chaminade High School. He then enrolled at St. Louis University, where he would meet his future wife, and earned a Bachelor of Business Administration 1965. For a short period of time he was employed at Anheuser-Busch in Atlanta, Georgia, where he served as a marketing and sales representative. He was then drafted into the United States Army, where he served in Vietnam, proudly serving his country. After his honorable discharge he returned home and married the girl he fell in love with at St. Louis University, Jane Ann Gorman of Jerseyville. The two married on April 27, 1968 at St. Mary's Catholic Church in Alton, and together they have been blessed with 50 years of marriage, and three wonderful children. After their marriage, he began employment with RW Murray Construction in St. Louis, where he was once again involved with the marketing department. It was in 1973, when Jane's father, Louis Gorman's health began to deteriorate, and the two moved to Jerseyville, and purchased Gorman Brothers Ready Mix. During his 45 year career, Eric valued the many friendships that he developed, and enjoyed watching his community grow, knowing that he was an integral part. Surviving are his wife, Jane Leonhardt of Jerseyville; two daughters and sons in law, Sara Leonhardt-Smith, and her husband, Eddie Smith of Kirkwood, Mo., and Lisa Lampen, and her husband, Mark Lampen of Mount Pleasant, SC; and his pride and joy, the six grandchildren, Jack, Maria and Pete Leonhardt-Smith, and Anna Claire, Caroline, and Lilly Lampen. Eric experienced the tragic death of his son, John Patrick Leonhardt, on Jan. 17, 1998 who was a freshman at Maryville University in St. Louis at the time. He was also preceded in death by his parents, a brother, Henry George Leonhardt Jr., his father in-law and mother in-law, Louis and Frances Gorman; and a brother in-law, James Louis Gorman. Visitation will be from 4 to 7 p.m. Sunday at the Crawford Funeral Home in Jerseyville. A Mass of Christian Burial will take place at 10 a.m. Monday at the Holy Ghost Catholic Church in Jerseyville, with Father Martin Smith officiating. A private burial will take place at St. Francis Xavier Catholic Cemetery in Jerseyville. Memorials may be given to either the St. Francis/Holy Ghost Catholic Schools in Jerseyville, or to the Heart Transplant of St Louis, Mo.